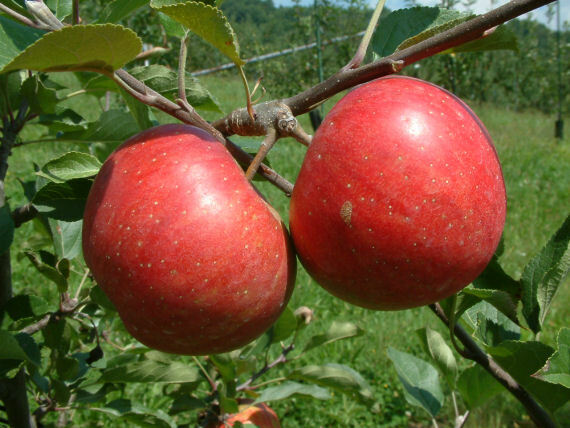 A strikingly beautiful apple from Missouri sold by Stark Bros. Nursery around 1900. First listed by a Virginia nursery from 1898 to 1901. A large fruit with yellow skin colorfully striped with red. The yellow flesh is juicy and fine-grained. Ripens in August to September. 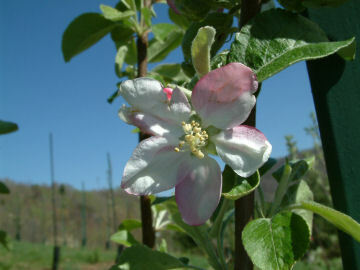 I’m looking to purchase some Rainbow apple trees. Do you have any available or can I put in a special order? We do not have any Rainbow trees in stock right now, Denice, but grafted quite a few this spring and expect to have trees available this fall. Check back with us in September for more information. We should have some nice trees in stock at that time. Thanks for your interest.